If x < y < z but x2 > y2 > z2 > 0, which of the following must be positive? Today we’re going to tackle a couple of tough divisibility problems from GMATPrep. The two problems I’ve chosen share some interesting characteristics. Here’s your first one; set your timer for 2 minutes and go! n = kw + r, where w is the largest integer such that r is not negative. For instance, the 3-power remainder of 13 is 4, since 13 = 32 + 4. In terms of k and w, what is the largest possible value of r that satisfies the given conditions? The following is written by Manhattan Prep College Marketing Associate Kristen Pittard. New York Cares Day is a day dedicated to service for in-need elementary schools around the five boroughs, where people volunteer their time to renovate schools by painting, restoring playgrounds, organizing libraries, planting flowers, etc. Last month, a group of Manhattan Preppers made their way to PS 137k, a school that has served the Brooklyn community for over 100 years, to participate in the rejuvenation of the interior by focusing on repainting the main hallway. With rollers and paint brushes in hand and a mint green color picked by the school principal, we were ready to go. After nearly 7 hours of painting, we had transformed an intense red and yellow hallway, into a calming mint green one, just in time for the students to arrive back to school the following Monday. Though we might be better at Data Sufficiency and Reading Comprehension than painting, it was a great experience for our staff to get together on a weekend to give back to the community. New York Cares Day was a perfect fit for Manhattan Prep due to our core belief in helping students reach their educational goals – and who better to help than the children of New York? If you would like to get involved with any future New York Cares’ projects, they have thousands of projects listed on their website, which range from children’s education to working with the elderly of New York. This week, we’re going to discuss Evaluate critical reasoning problems. Evaluate what? We’re trying to evaluate an assumption the author uses to draw a conclusion, so these Evaluate questions are a subset of the Assumption Family of questions. In order to increase its profits, MillCo plans to reduce costs by laying off any non-essential employees. Does that sound like a good plan? Profits equal revenues minus costs. What’s MillCo assuming in claiming that laying off non-essential employees will result in increased profits? For one thing, MillCo is assuming that revenues won’t drop as much as or more than the expected cost savings; if that occurred, MillCo’s profits wouldn’t increase. Whether revenues will be affected adversely enough to threaten MillCo’s profit structure. Let’s say that answer is no: MillCo’s revenues won’t be affected adversely enough. In that case, MillCo’s argument is strengthened. If, on the other hand, the answer is yes, MillCo’s revenues will be affected adversely enough, then MillCo’s argument is weakened. This answer, then, is designed to test the assumption; it helps to determine whether the assumption is valid. It does not tell us, however, that the assumption definitely is, or is not, valid. This week marks the release of our Foundations of GMAT Math Strategy Guide Supplement! This book is one of the first of our Fifth Edition guides to be released, and we are excited for the updates and improvements it represents. Our instructors have been working overtime to make the book more comprehensive and accessible to students on every level, and at 10 chapters and over 500 pages, the new Foundations of GMAT Math is a significant upgrade from the previous edition. 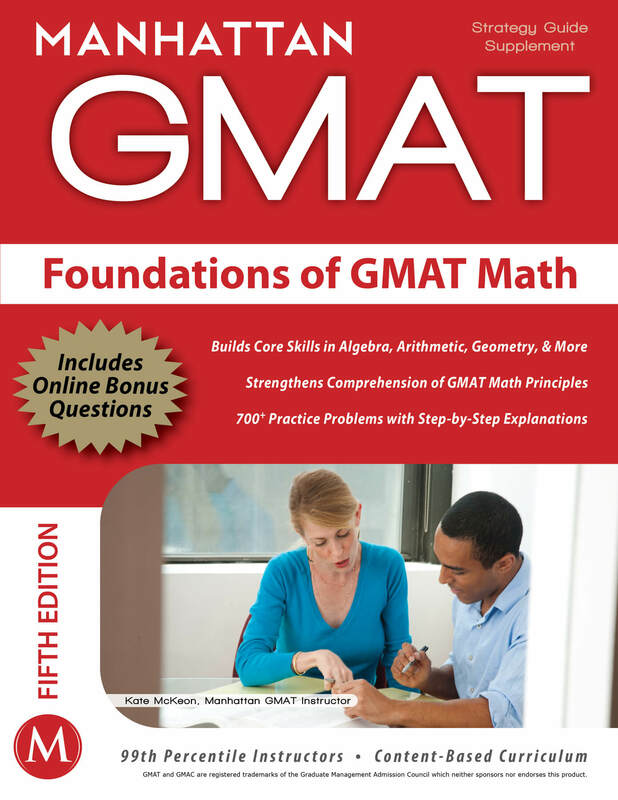 Covering algebra, geometry, number properties, and more, Foundations of GMAT Math was revised to focus not only on foundational knowledge, but on computation in general. The book now covers all of the basic computation that is tested on the GMAT, teaching students the material through easy-to-follow explanations and cementing understanding with over 700 practice problems. Other improvements include an expanded section on word problems, a clearer problem solving process, and an emphasis on more focused questions. Additionally, Foundations of GMAT Math now includes more difficult content, including a greater number of questions in the 500-600 range. With a new cover, a new layout, and an abundance of new content, the Fifth Edition Foundations of GMAT Math is better than ever! Check it out for yourself by visiting our store. 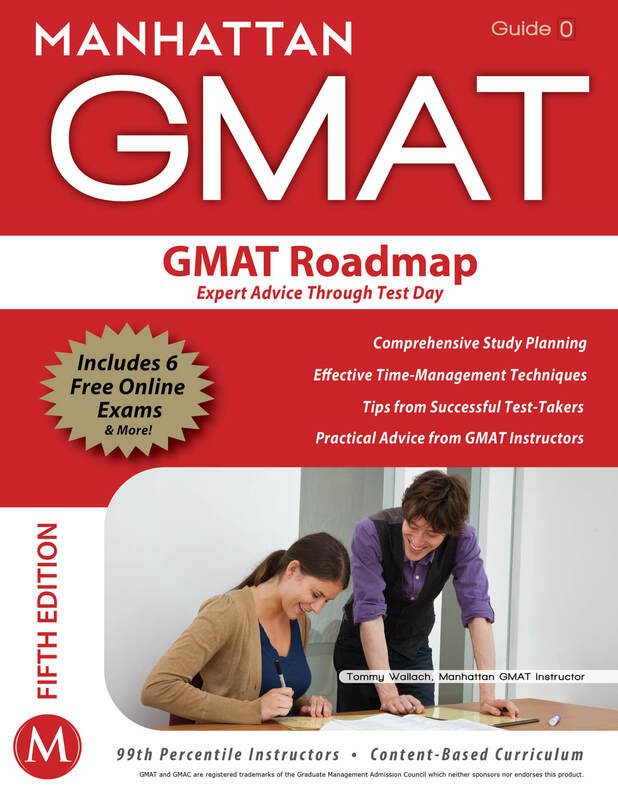 Also released today was the GMAT Roadmap! Read about it here. We are excited to announce the release of our newest Strategy Guide, the GMAT Roadmap! Consisting of articles and essays written by our 99th percentile instructors, this book was created to help students navigate the complex and often frustrating waters of GMAT prep. Unlike our other strategy guides, the GMAT Roadmap is not designed to teach you content. Instead, we wrote it to address a need not often met. Many a time we have seen students dive into their GMAT preparations headlong, without pausing to consider what and how they should study so as to best improve their scores. Yes, you can study everything from start to finish, but do you need to? Sure, you can review every day for ten hours a day, but will that improve your comprehension and retention? The GMAT Roadmap answers these questions by offering the guidance and structure you need to maximize your GMAT preparations. Start with the first few chapters to learn about the GMAT, organize your study plan, and gauge your current skill level before diving into your preparations. Then, as you progress in your studies, dip back into the Roadmap when needed for strategy advice on the Quant and Verbal sections, tips on how to improve your time management, guidance on how to manage test anxiety, and a run-down on what to do before test day. Success on the GMAT requires far more than content knowledge, and we want all GMAT students to achieve the score they’ve been working towards. If you are looking for that extra boost to get you to the score you are looking for, or maybe just a little guidance along the way, the GMAT Roadmap is for you! Interested in learning more? We’ve been posting samples of the GMAT Roadmap to our blog for the past few weeks, so check out the articles listed below for samples of the content covered in the GMAT Roadmap. Ready to dive right in? We are giving away the first two chapters of the book for free! Just click here. Looking for a little extra? Sign up for our free GMAT Roadmap Webinar! Sides AB, BC, and CD of quadrilateral ABCD all have length 10. What is the area of quadrilateral ABCD? (1) BC is parallel to AD. (2) Diagonal AC, which lies inside the quadrilateral, has length 10âˆš3. On such an auspiciously numbered day, it was disturbing to find an error in this week’s Challenge Problem, XYZ Building. The numbers have now been fixed, so if you’ve already put in an answer, check it out again. We apologize sincerely for goofing up here. Have a great weekend! Last week, we discussed the general process for tackling Critical Reasoning problems. This week, let’s go through a specific problem together using our process. Step 1: Identify the question. Step 2: Deconstruct the argument. Step 3: State the Goal. Step 4: Work from wrong to right.